Since 2008, Thamini Uhai (formerly World Lung Foundation) supports national efforts to reduce maternal and perinatal mortality by strengthening health services delivery in three regions of Kigoma, Morogoro, and Pwani. Currently, 46 health facilities in Kigoma region, mostly in rural, isolated areas are being supported to provide quality Emergency Obstetric and Neonatal Care (EmONC) services. Thamini Uhai is also working to improve women’s access to EmONC services by strengthening referral systems, works to increase demand for good-quality services through multimedia communications campaigns and by partnering with community health workers and is implementing a pilot birth companionship project which aims at improving the experience and outcome of care during delivery in selected facilities in Kigoma region. ThaminiUhai has been contracted by Jhpiego to be a sub-recipient to implement a USAID BoreshaAfya Project in Kasulu District Council(DC) and Buhigwe District Council(DC) in Kigoma region. The project is a social behavioral change communication(SBCC) project which will implement gender-sensitive and targeted community interventions that will improve care-seeking behavior, reduce delays and lead to a reduction of maternal and newborn mortality. 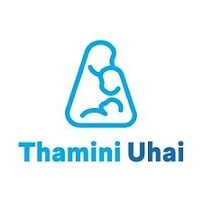 ThaminiUhai will utilize various strategies to address the three delays causing maternal mortality and also encourage healthy behaviors towards Reproductive Maternal Newborn Child and Adolescent Health(RMNCAH) services uptake. : Six months, with renewal possibility depending on funds availability. Program Officers will ensure the coordination and implementation of project activities as per the work plan, milestones and budgets in targeted communities including supporting Community Health Workers (CHWs) to reach their goals. Coordinate the implementation ThaminiUhai communication activities in the communities. Participate in training, provide supervision and give feedback to CHWs working in catchment areas of various health facilities on their performance. Develop a work plan for providing supportive supervision to CHWs in respective districts on a quarterly basis and implement the plan. Prepare weekly and monthly activities narrative reports and submit to right channels. Ensure CHWs follow their work plans and meet their targets. Ensure all CHWshave box files for storing referrals at the facility level. Collect redeemed referrals from referral boxes or from RCH providers in each facility and file them on monthly basis. Implement community engagement activities on maternal and reproductive health including engagement of health facilities with communities. Collect newsworthy stories from the field through CHWs for social media content development and ensure activities’ and events’ photos coverage are safely stored on monthly basis. Support implementation of multi-channel communication campaigns including overseeing day-to-day implementation of the campaigns by CHWs. Support the documentation of best practices and product presentations to share lessons learned for advocacy purposes. Support project visibility in the district through coordinating the distribution of communication materials and placement of posters around health facilities and catchment areas. Work closely with CHWs and community leaders to identify traditional birth attendants and orient them in escorting mothers to health facilities. Working closely with District Reproductive and Child Health Coordinators(DRCHCOs) to ensure the government continually supports the CHWs to ensure sustainability of CHWs program. Minimum degree in social work, project management, education or related field with at least three years of working experience. Experience of working with USAID projects preferred. The candidates should have experience of working in at least one of the following technical areas: maternal and child health; family planning/reproductive health; social behavior change communication (SBCC); community-based health programs, youth programs, and gender issues. Experience of working in communities supporting CHWs, peer educators, community leaders as well as providing technical support to government health officials preferred. Detail-oriented, with plan and organizing skills. Ability to prioritize multiple tasks in a fast paced environment. Flexible and proactive attitude towards problem-solving. Willingness and ability to spend time in rural communities, up to 80% of work time. 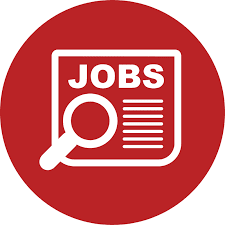 Excellent interpersonal skills and ability to work in a team, to develop effective working relationships with local governments, community structures, health facility boards and other project partners. Fluency in Kiswahili and English is required. Compensation: Salary will be set according to education, experience, and previous compensation history. All interested candidates can apply for the positions by sending detailed curriculum vitae, including three referees’ details and a cover letter explaining why they are interested to apply and how they qualify for this position.